Despite opening nearly two and a half years ago already in April 2016, the popularity of Padella continues unabated. In fact, it’s still one of the most talked about “new” restaurants in the city. Located on the edge of Borough Market in London Bridge, the trick to getting a table at this walk-ins only restaurant is to go early. On busy weekends, tables typically sell out for the night before 7pm. After several failed attempts, it was only recently that I managed to get my name on the list for a reasonable 30 minutes wait. What makes Padella so terribly popular is two things. First, many Londoners were already familiar with the fresh handmade pastas and silky ragus from its older, fancier sister restaurant Trullo in Highbury. And second, they promise Londoners a pasta bar serving nothing but the highest quality pastas at arguably the lowest prices in town. While keen to pass my own judgement, I had a pretty good idea what I was in for as I eyed the short menu of appetizers, nine seasonally changing pasta dishes, and choice of three desserts. Padella recommends ordering 3-4 pastas per couple (around £5-10 per dish), so we ordered a pasta tasting of 6 dishes for the very hungry three of us. The restaurant is divided over two floors, with an open kitchen and marble countertop seating on the ground floor and sharing tables for larger groups in the basement. 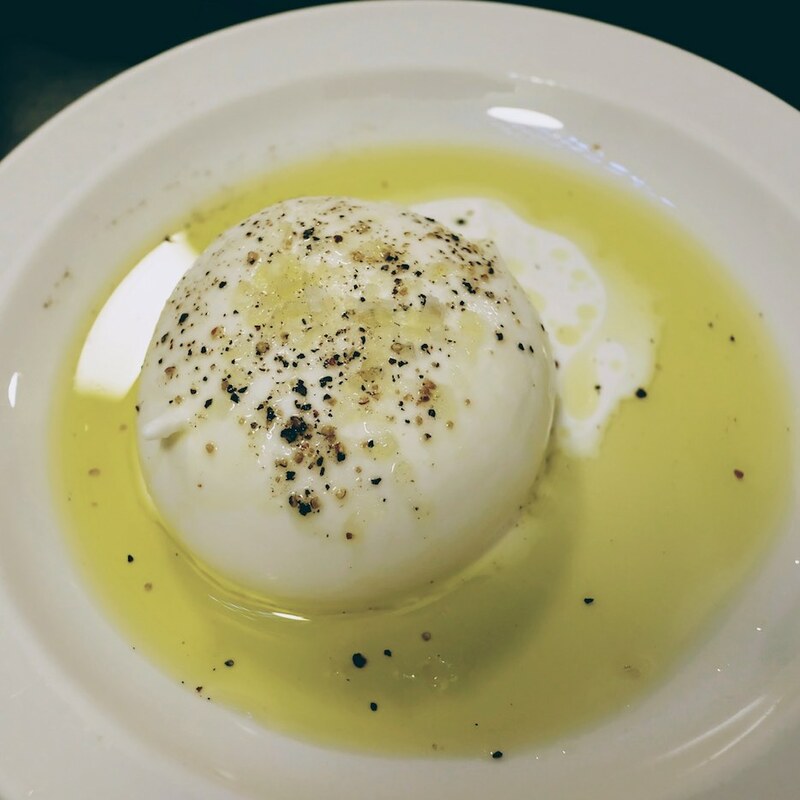 To start, we chose the sourdough, melt-in-your-mouth burrata and pepper salame, each presented simply yet, undeniably authentic. 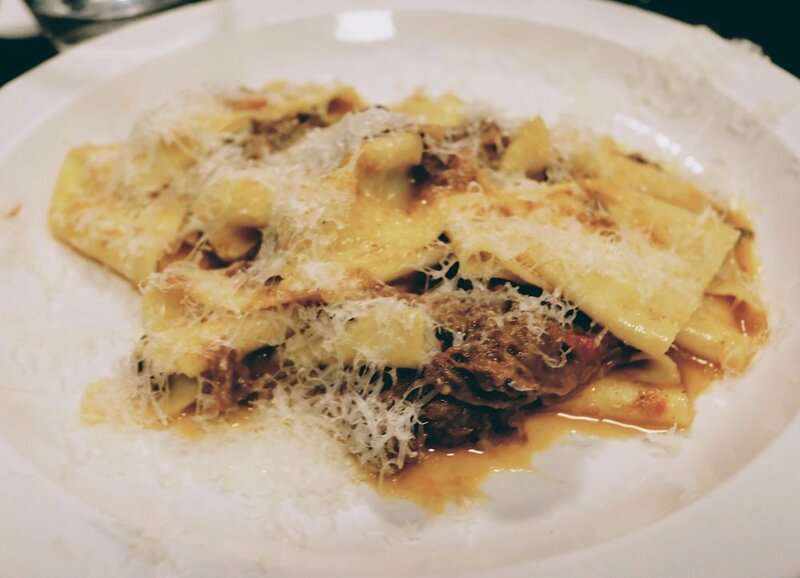 Over the next 30 minutes, we devoured our 6 plates of buttered gnocchi, their signature pappardelle with 8 hour Dexter beef shin ragu and a second with chicken livers, fettuccine with nduja, crab tagliarini and marjoram pici. The thick wiggly pici was one of my favourites, as well as the rich, rustic sauce made of chicken livers. Although not on the menu that day, the pici cacio e pepe is one of their top bestsellers. Each deliciously al dente pasta was washed down with inexpensive yet highly satisfying Italian wines by the glass, still leaving room to try their tangy sweet lemon tart and very salty salted caramel ice cream. To help stave of an inevitable pasta coma, try a limoncello or grappa to help you digestif. While it’s hard to complain about anything at those prices, Padella is exactly what it says on the tin. Authentic, original Italian pasta recipes that’ll have you coming back again and again.